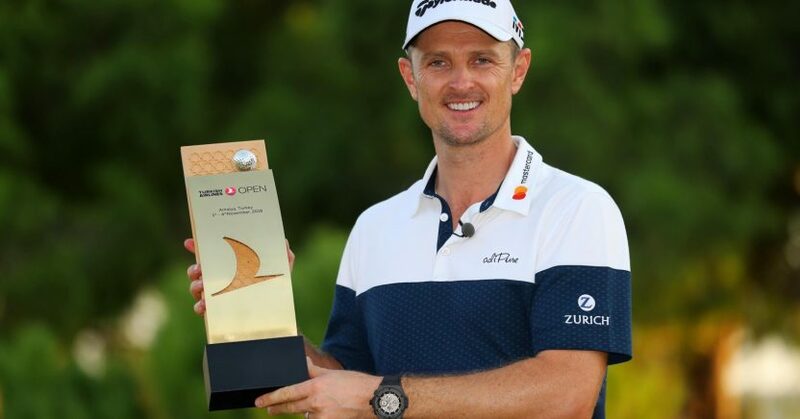 Justin Rose returned to the top of the world rankings after successfully defending the Turkish Airlines Open title at the Regnum Carya Resort. Rose defeated China’s Li Haotong in a play-off to become the first player to retain a Rolex Series tournament. Rose spent two weeks as world No.1 earlier this season after finishing second in the BMW Championship, but had been determined to get back to the summit with a second consecutive victory in Turkey. The 38-year-old Englishman started the final round three shots behind Li, but a front nine of 33 and a birdie at the 10th, which he had bogeyed in the previous two rounds, was enough for a share of the lead. Rose struck what looked like the killer blow with a birdie at the 14th, but Li responded with a stunning approach to the par-five 15th to set up a tap-in eagle as Rose three-putted from long range for par. It looked as though Li would have the chance to move in front after an excellent approach to the 16th too, but Rose produced a better one and holed from four feet after the world No 50 missed from twice the distance. Rose’s advantage was short-lived: he three-putted the 17th and Li appeared to have the upper hand at the 18th when he found the green in regulation after the Englishman’s approach came up short in a greenside bunker. However, it was Li’s turn to three-putt from long range and Rose was left with a putt for the win after a superb bunker shot, only to miss from four feet.